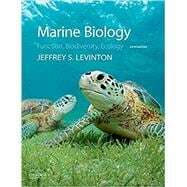 Jeffrey S. Levinton is Distinguished Professor of Ecology and Evolution at Stony Brook University. Planktonic Dispersal: Why Do They Do It? Hot Topics In Marine Biology 14.1 Where Did All This Invertebrate Diversity Come From? Hot Topics in Marine Biology 21.1 Fin-Ale for Sharks? Hot Topics in Marine Biology 21.2 Shellfisheries: Which Will Fall to Ocean Acidification? Hot Topics In Marine Biology 22.1 Is the Gulf of Mexico Adapted to Oil?